Italian Eurofighters conduct first scramble in Montenegro. 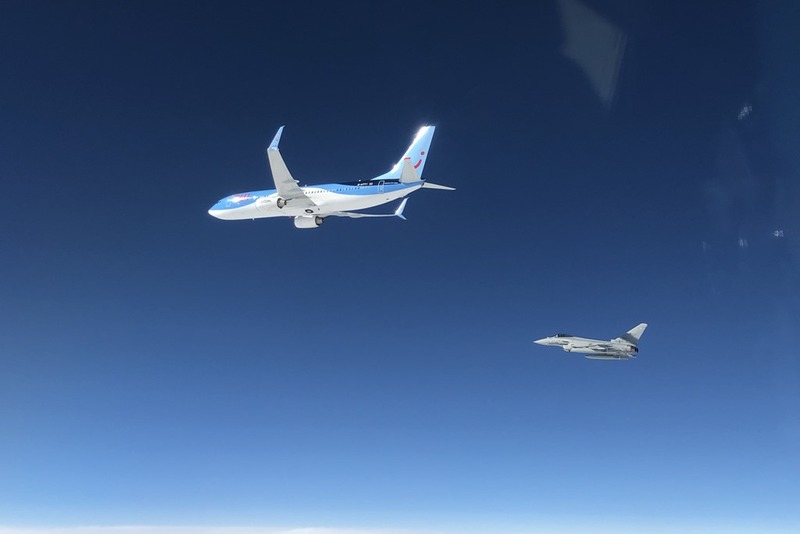 On April 9, two QRA Eurofighter aircraft belonging to the 36th Wing of the Italian Air Force, in service under the NATO Air Policing mission, took off from Gioia del Colle AFB, South Italy, to intercept a B737 of the German airline "TUI Fly" flying over Montenegro skies. The liner had lost radio contact with the air traffic control agencies during its route to Hurghada, Egypt. The scramble procedure was activated by the CAOC (Combined Air Operation Center) at Torrejon, Spain, which is the NATO body responsible for the area, in collaboration with the CAOC at Poggio Renatico, North Italy, and the Air Force units involved in the surveillance of national and NATO airspace. The personnel of the 22nd Radar Group at Licola, Naples, provided the Eurofighter pilots with the information needed to intercept the aircraft that was about to enter the airspace of Montenegro and Albania. These countries are included in the Atlantic Alliance and their air defense is assured daily by Italy and Greece. The two fighter jets promptly reached the area, visually checked the civilian aircraft and awaited the restoration of radio communications before returning to their base.